Growing up my sister and I wore a hole in our VHS tape from watching the movie so much. The first stage show I can remember seeing was a local high school production of Grease. Then in 2008, I made the trek to New York City to see Minnesota native Laura Osnes in her Broadway debut as Sandy. Needless to say, Grease holds a special place in my heart. What many don’t realize is the stage musical came first and is gritty and angst driven. While the 1978 movie with Olivia Newton-John and John Travolta is the bright, bubble gum Hollywood version. Luckily for us, director Christine Karki and Lyric Arts decided to stay true to the original vision of writers Jim Jacobs and Warren Casey. Set in 1959 Chicago, Grease is the story of Danny, new girl Sandy and their group of close friends. This timeless love story takes place at the birth of of rock and roll. A pivotal point in American culture and history. 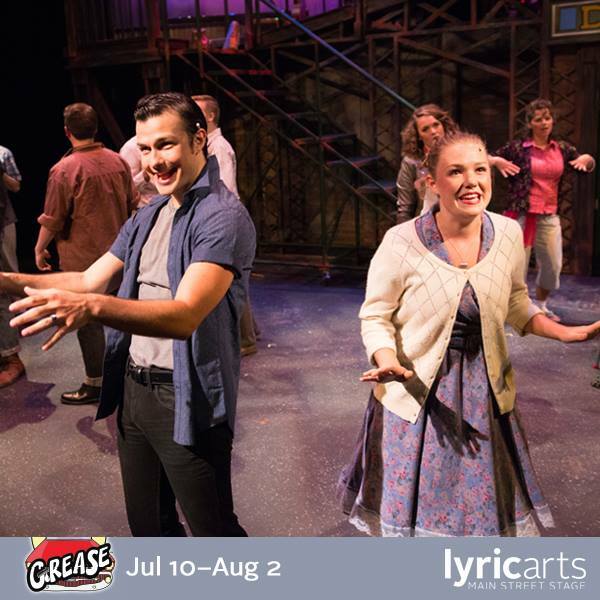 At it’s core, Grease is an unconventional musical about the changing of America as we crossed from the wholesome 50’s to the rebellious 60’s set to a rock and roll soundtrack. The cast is full of many actors making their Lyric Arts’ debuts. But one standout is Jill Iverson as Rizzo. I’ve seen her in Carrie: The Musical and Happy Days: The Musical, both with Minneapolis Musical Theatre, but her turn as Rizzo is star worthy. She really dives into Rizzo’s persona of a bad girl with no feelings and shines in the rare moments that Rizzo lets you see her heart. After selling out the run before even officially opening, Lyrics Arts just announced the show has been extended for another week. So grab your tickets fast and see the kids of Rydell High through August 9th in Anoka. For more information on the show or to get tickets, visit Lyric Arts’ website.